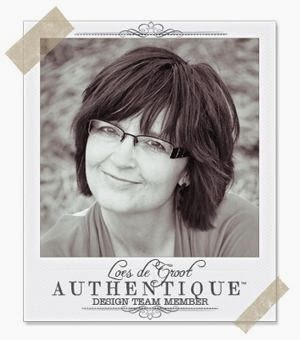 This week we are featuring one of our BRAND NEW products.... the Authentic Art Prints! These 8x10 prints come in 3 of our new collections- "Favorite," "Radiant," and "Harmony." These Art Prints are ready to add to any scrapbook page or simply put in a frame to add flair to any bare wall, and perfect for home decor projects! There are several creative ways to incorporate these art prints into your scrapbooking and home decor projects. Check back every day this week for new projects and ideas from our amazing design team! Hey everyone, it's Hilary here today with a fun upcycled project for you, using the new Art Prints that accompany the already incredible collections from Authentique Paper. Art Prints are 8x10 pieces of art that can be used in all sorts of projects, from home decor, to scrapbook pages, and everything in between. 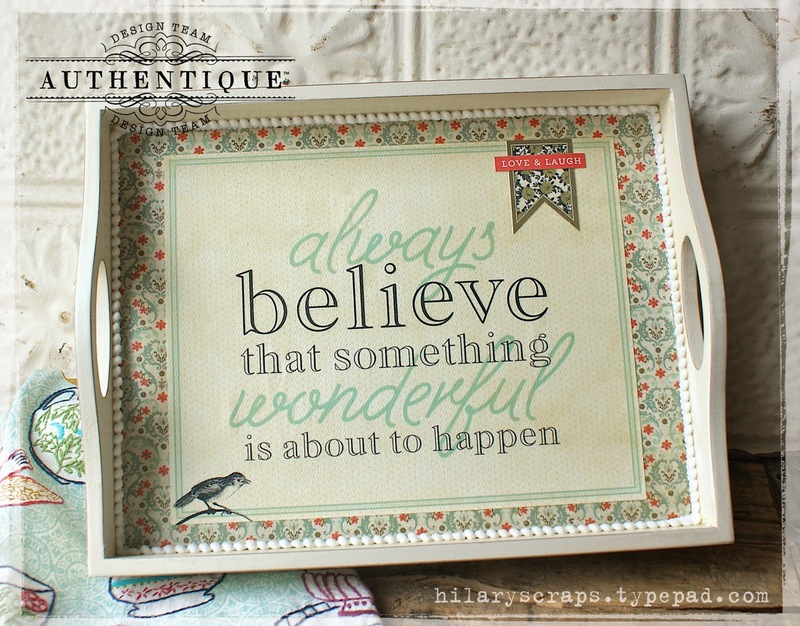 For my project today, I used one of the Art Prints from the "Harmony" collection to create an altered tray. I hope you enjoy! I've had this old, shabby styled tray sitting on a shelf in my craft room, and haven't touched it for years, but something made me grab it today, and when I paired it up with an Art Print, I thought how perfect this would be. This was such a simple project, I really had this completed in no time. First, I cut 12x12 pattern paper to the exact opening of my tray, then poured a layer of decopage medium, (I used the antique decopage, for an 'aged' look), then thinned the layer out with a foam brush. I then laid the pattern paper down onto the glue, and pressed evenly over the entire area, until dry, making sure there were no air bubbles. When dry, I added another layer of decopage glue to the top of the pattern paper, thinning it out, and just brushing all the areas in a circular motion, (you will see brush marks on your finished project, so having a 'pattern' will help with eye appeal). When that layer was finished, I brushed decopage glue onto the back of the Art Print, and laid it down in the center of my tray. Press evenly again, using a roller brush or your hands to ensure no air bubbles. I did this till it was dry, then added a small banner and sentiment to the top of the art print, then layered on more decopage on top of everything, spinning my brush into a circular mode, and taking off excess. When the entire top was dry, I added yet another layer of decopage, thinning with my brush strokes until that second layer was dry, (this will ensure the tray stays safe, should any liquid spill into it). After all the glueing was completed, I added a small bead of hot glue, around the edge and adhered small white trim. I didn't want to use any trim that would be too big, but I wanted a small decorative finish, and I love the result. I knew I was holding onto this tray for the perfect project, and when I saw the Art Prints, I finally knew what I wanted to make, and the end result is exactly what I had hoped for. I adore my altered tray, and I hope this inspires you to try one of your own. Art Prints provide endless possibilities to your crafting. wooden tray, decopage medium, (mod podge), foam brush, trim, and hot glue. 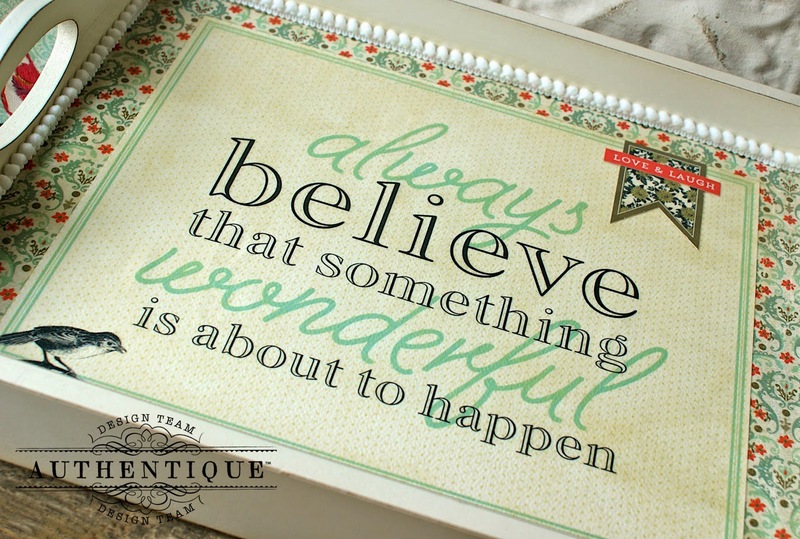 Hi there, this week we are all sharing projects that we have created with Authentique's Authentic Art Prints. I showed you a layout using the art print not too long ago, and this time I used the Art Print as the tittle. I layered the art print twice, This is not the way I normally make a layout, but I have to say, I love it, clean and simple! I made the stars with dies from Sizzix. The photos are layered, I used foamtape for more dimension. Hope this layout inspires some of you to look at the Authentic Art Prints in a whole new different light! What inspiration week would be complete without a GIVEAWAY? We want to give away a couple of sets of our new Authentic Art Prints. Simply join us here on the blog every day this week, leave us a comment letting us know what you would use these cards for. We will pick and announce a winner (along with all other prize winners) THIS Saturday right here on the blog! Bonus entries to those who share our posts on facebook throughout the week! That tray is a project I would love to create, stunning and so beautifully crafted!!! I love the BEAUTIFUL tray and layout. Great artwork ladies. Thanks for sharing. I would love to create some wall art with these wonderful prints. I have a black tray that I've never embellished. After I quit tole painting the tray has sat there - forlorn and unloved. Now I know how I can embellish it and bring it to life - to be admired and useful. thanks for the idea. Oh My Goodness! This tray is gorgeous and I would love to complete one like this to place in my bedroom. Love the tray. I'll add this to my list of things to do with the Art Prints. I'm really loving all the creative ideas with these art prints! Great projects! While I love the scrapbook pages made with these prints, I really see me using their great size more for home decor and as pages or dividers n themselves. Super nice projects! I really love the altered tray, so cool. Thanks for sharing. changed out ever so often. 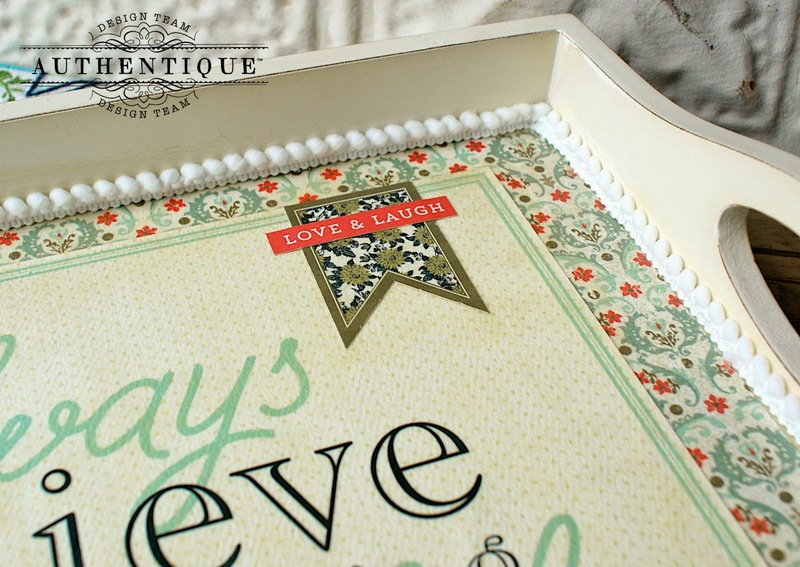 The altered tray is one of my favorite projects for the week. I have really enjoyed this whole week and thank you everyone for the great ideas. I'm off to the store to find the wooden tray and get ready to do some art prints alterations. What a fun layout and I adore the tray! Both lovely projects! I would definitely use them on home decor projects too! Beautiful altered tray and layout! I love the background paper on the tray and the stars on the layout. I love the beautiful wood tray project. I never would have thought of using these prints for that. Thanks so much for sharing. What a beautiful tray and the great tutorial. The Art Prints made your tray a winner. I also liked the sweet layout. The photos are so perfect with the saying of the Art Print. Great layout and love the tray. I like the addition of the white trim. Love the projects! Such clever uses of your collections! Perfect for everything from layouts to framed art! I would use these cards for layouts!